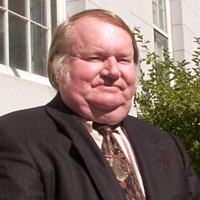 John A. Dooley served on the Vermont Supreme Court for 30 years before stepping down in 2017. He previously served as the secretary of administration for the State of Vermont between 1985-87; and president, Vermont Bar Association. Since 1998, Justice Dooley has been president of the Russian-American Rule of Law Consortium (RAROLC), established to develop, support, and fund similar partnership programs between the legal communities of American states and the legal communities of Russian regions. RAROLC currently sponsors partnership programs in nine states and regions and is currently developing new partnerships. RAROLC is an outgrowth of the Vermont/Karelia Rule of Law Program, Inc. that was established in 1992 to conduct programs to advance and support the legal profession and judiciary of the State of Vermont and the Republic of Karelia. Justice Dooley has a B.E.E degree from Union College, and LLB from Boston College Law School.